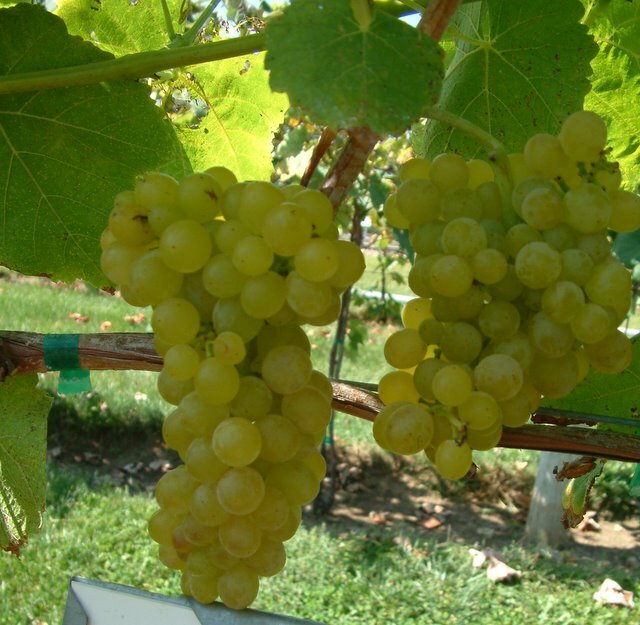 We have been evaluating 15 varieties of seedless table grapes for four years. In September we completed a four year report that provides information on the varieties performances through three winters and four summers. 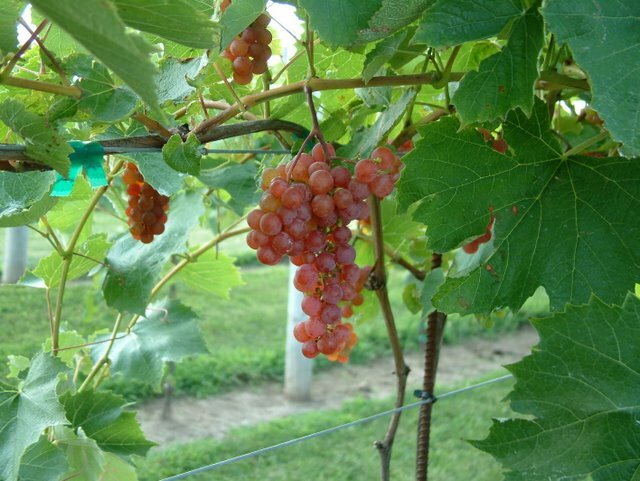 Local vineyard owners – Joy and Bill Exner have a partnership trial planting consisting of several varieties of seedless table grapes. They have submitted a report that is very informative and expands on our work here at the station. You will find a link to the their report and the report submitted to the Department of Agricultural Trade and Consumer Protection at the bottom of this post. Features were rated that are not listed in the report. Many of the these features will lend themselves to fresh market production. 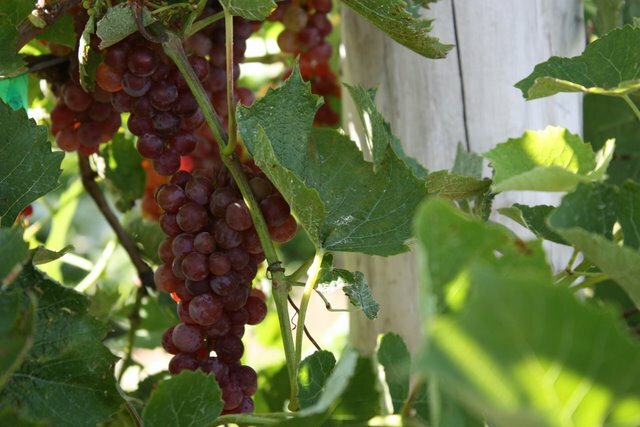 Fruit harvest period: We left four varieties on the vine for as long as three weeks and the fruit retain quality and continued to increase in sugar levels. Somerset Seedless, Trollhaugen, Canadice and Interlaken did not shatter (berries fall from the vine), split or become soft and rot. Our evaluators stated that the fruit taste increased in intensity. We did not encountered problems with Lady Beetles, nor birds. Each of these pest can could become serious issues when fruit is left on the vine after ripening. The varieties listed above also were less prone to fungal disease that were problems this year due to the high humidity and rain fall. We will be continuing our evaluations for several more years to expand on the variety performance information. And we will be adding several varieties to the trails during the summer of 2010. Madison Ag. Research Station and the University Display Gardens on right side of road. ‘Gardens are open seven days a week from dawn to dusk and their is no entrance fee. 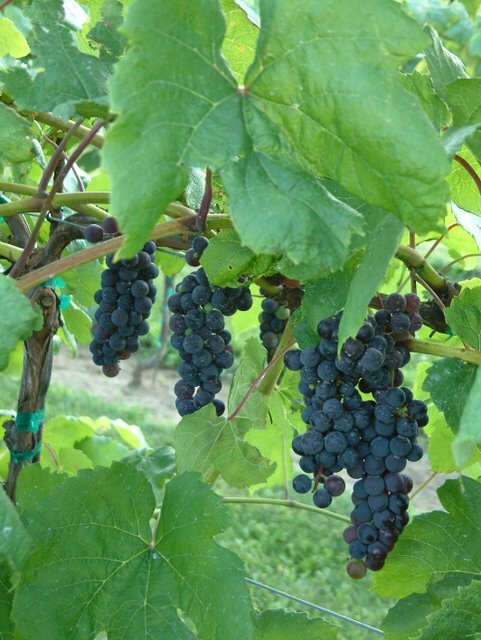 Wisconsin Department of Agriculture Trade and Consumer Protection has provided the funds for three years and the Wisconsin Grape Growers Association has provided support through a Specialty Crops Grant for the past year.